Tahini is one of the best foods you can hire this space! It is rich in amino acids and gives us calcium, magnesium, iron and B vitamins, contributing to the proper functioning of our nervous system. The fat is primarily monounsaturated and polyunsaturated, thereby helping to reduce the likelihood of cardiovascular disease. 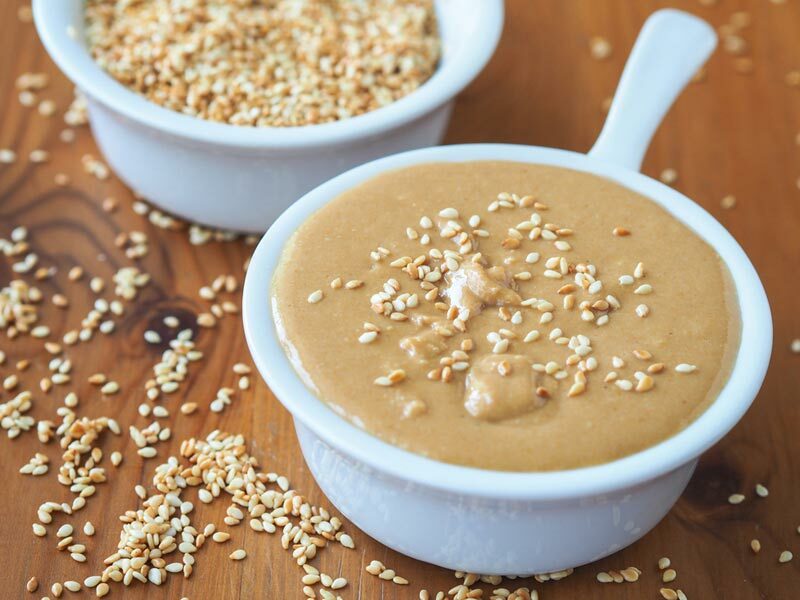 Moreover, tahini contains small amounts of phytosterols, substances that can help reduce blood cholesterol levels. The black (brown) tahini, ie whole grain, made from sesame bark and therefore has not taken away is richer in fiber and helps, among other things, control of cholesterol!